Some kids are adventurous little souls, and have no issues bounding from place to place and activity to activity. They can begin a new life event like pre-school and never give it a second thought. Our sweet Parker Campbell is not one of these children. He's a classic first-born. He can be extremely cautious, very timid and quite sensitive (though he is also super curious, observant, and intelligent like his Ph.D. Daddy). 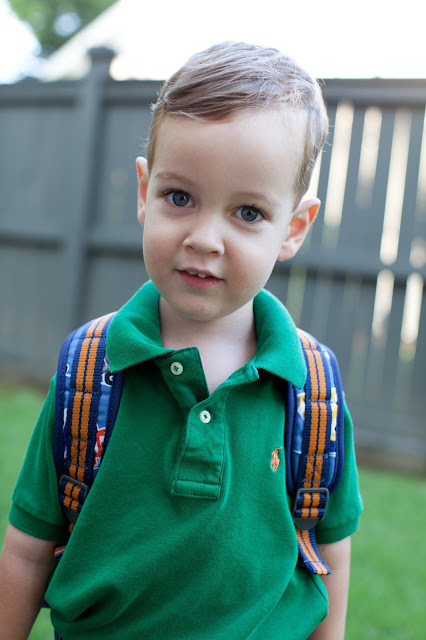 Parker will be starting preschool this month. At almost three-and-a-half years-old, it's time. This will be his first time in any sort of activity or program without me present. 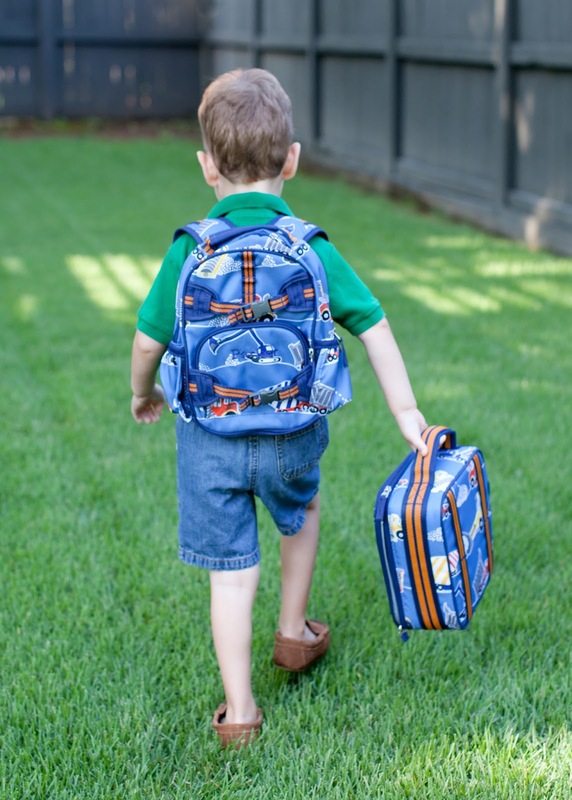 He needs it, I need it, yet I know it's pretty much the biggest change we'll be introducing to his life yet (including the cross-country move when he was one and-a-half). Because of his hesitancy to try new things, I knew we would have to step up our game in preparing him for preschool. Front Loading is just teacher talk for discussing something ahead of time. This is a technique we use every day with Parker, for anything from going out to dinner to attending the symphony. When we took him to Cirque du Soleil last week, we discussed how we'd be sitting quietly in the audience, how the auditorium would be dark, how the performers would be wearing colorful costumes - we tried to introduce as many elements of the unknown situation beforehand so he would know what to expect and how to behave. For preschool, we have honestly been front loading since spring. 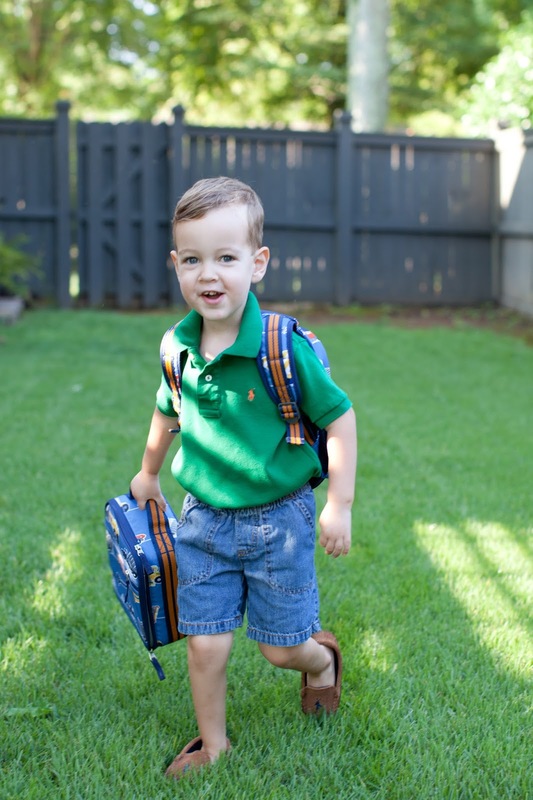 Parker knows he'll be starting preschool in the fall, he knows that he's going there to learn, that he'll be a student and he'll have teachers, and so much more. 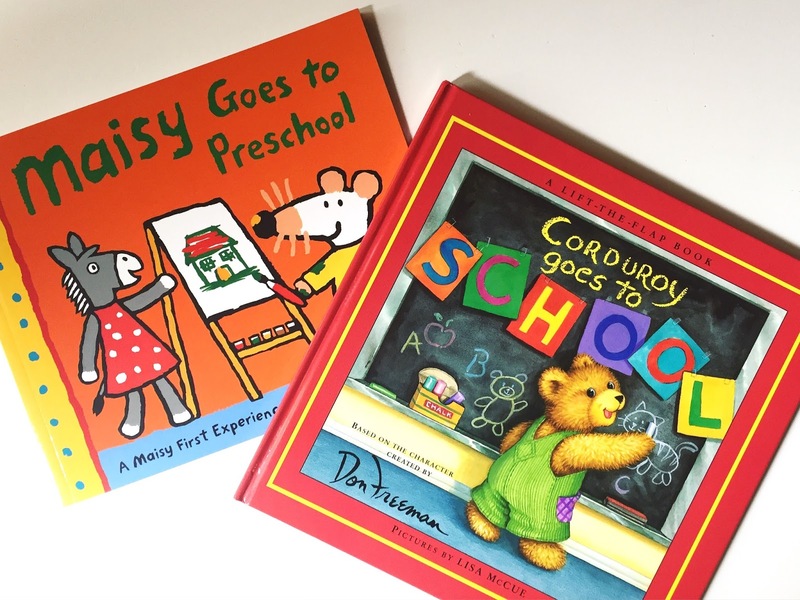 Books are a phenomenal way to continue the conversation about a new topic, and to visually introduce new concepts via illustrations. I'm a big believer in positive thinking and visualization. Unfortunately, many of the back-to-school books I came across did not share this same sentiment. Most of them feature a child who is shy/nervous/scared, and while the child learns to like school by the end of the story, these weren't emotions I wanted to introduce to my impressionable and already anxious little man. I didn't want to bring up the idea of of being sad, missing mom, or being nervous - I wanted to only convey the happy, positive motions of going through a school day. Luckily, I did find a few books that fit the bill. We've been reading these two on repeat - they describe successful, fun days at school - exactly what I want Parker to think about! Role play is a great way for children to bring up questions or concerns they might have, and to also prepare them for what's to come. I started with pretending to be one of Parker's teachers, but he quickly caught on and began being "teacher" to me and Max, bringing over the World Map, U.S. Map, Periodic Table, and even "teaching" us our colors in Spanish. Preschool will be Parker's first time eating lunch out without us, so we also practiced using his new lunchbox at home. 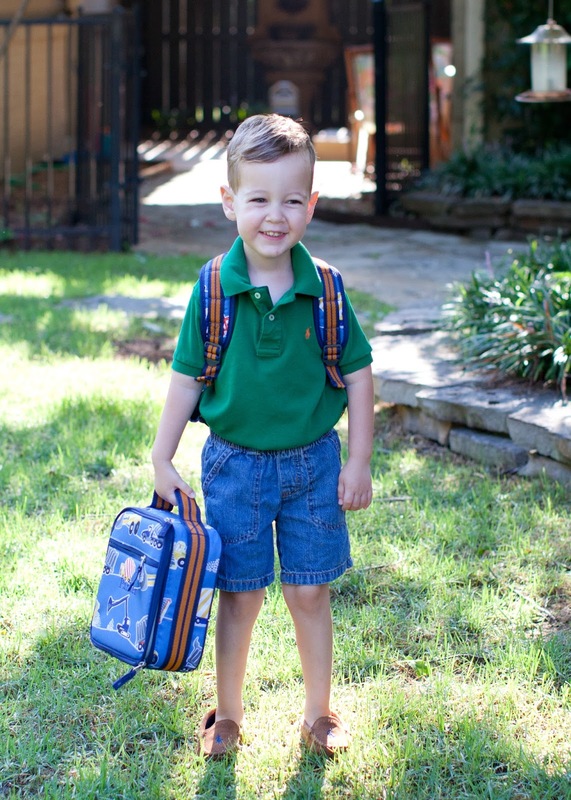 I packed it just like I'll do for school days, and we pretended that he was in his school lunchroom. I'm confident now that lunch on the first day will go more smoothly because we've done a run-through. 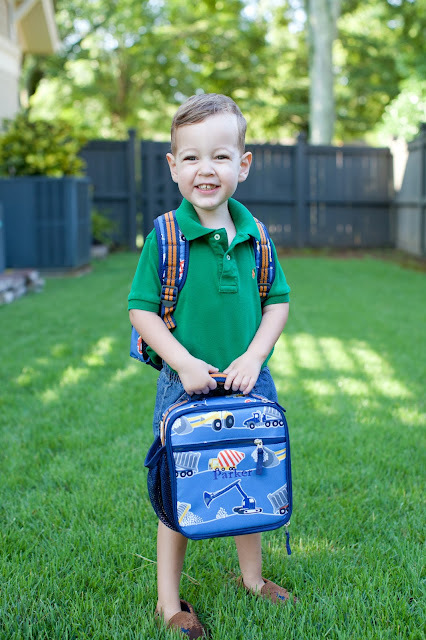 Having his new items out, trying on his backpack and wearing it around, and filling up his lunchbox over and over allowed him to get comfortable with these new items as well. 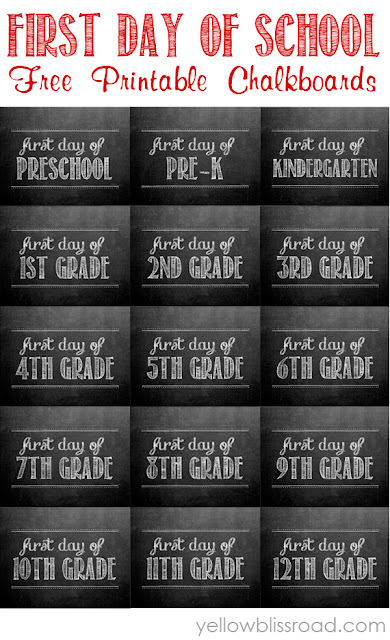 Commemorating the day sends the message to your little one that it's the beginning of something new and important (and of course gives you the "before" picture to compare on the last day of school). That's all from here! And while I have almost ten years experience on the teacher side of things, I'm brand new at having a student of my own and have zero experience in this area. 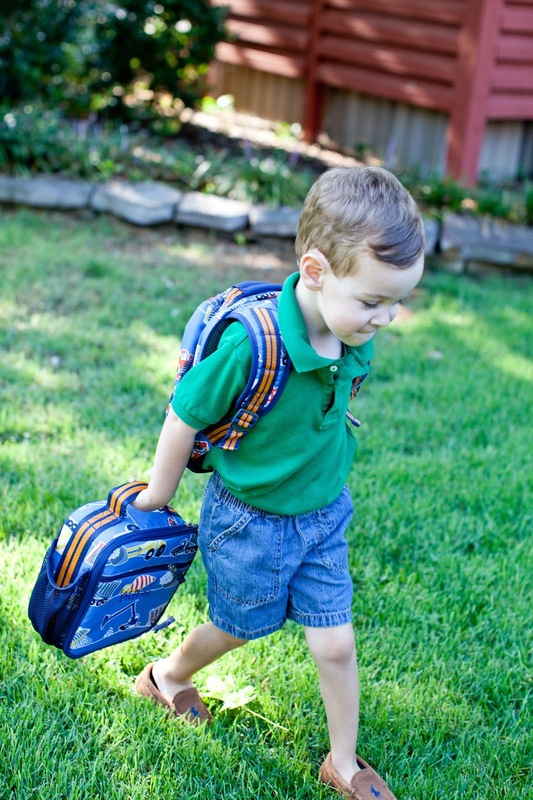 So, if you have any great Back-to-School traditions or ideas, please share! Everytime I read more of your posts, I know what a great mommy you are! OH, how I wish my mom had done this for me. 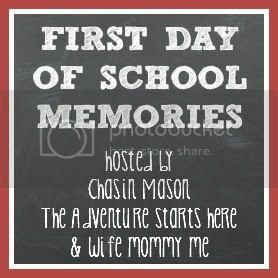 I had severe separation anxiety until 4th grade, (I still do) I cried every single day, it was horrible, and I think that is why I choose not to be a mom. Seeing moms like you makes my heart happy!